Why are there so many “modern” versions of Shakespeare’s plays? There are plenty of great books that don’t need translated versions. We don’t look for easier versions of Dickens, Hawthorne, Melville, or Fitzgerald (or at least, I hope we don’t.) But re-doing Shakespeare seems to be a favorite sport of publishers. Why dumb down all those beautiful words and images for the sake of making it easier? We’ve found that if you’re teaching Shakespeare in an active, performance-based approach, the language becomes less of on obstacle. Shakespeare: Oh, she doth teach the torches to burn bright! No Fear: Oh, she shows the torches how to burn bright! No Fear: like a jeweled earring hanging against the cheek of an African. Shakespeare: Beauty too rich for use, for earth too dear. No Fear: Her beauty is too good for this world; she’s too beautiful to die and be buried. Shakespeare: So shows a snowy dove trooping with crows As yonder lady o’er her fellows shows. No Fear: She outshines the other women like a white dove in the middle of a flock of crows. Shakespeare: And, touching hers, make blessèd my rude hand. No Fear: and then I’ll touch her hand with my rough and ugly one. Shakespeare: Did my heart love till now? No Fear: Did my heart ever love anyone before this moment? Shakespeare: For I ne’er saw true beauty till this night. No Fear: because I never saw true beauty before tonight. See the difference? Post your comments below as to the effect of the translation. If your students find reading Cliff’s Notes too difficult, Cliff has a better idea. They’ve boiled the plays down to 5-minute videos with ridiculous animation. The Shakespeare Made Easy videos boil the plays down to 2-minute versions, but are pretty awful. I do like the Folger videos that we’ve made, both the Insider’s Guides and the One-minute versions. Kent Richmond has created what he calls “verse translations” of several plays and shows why his versions are superior to what he calls the “dumbed down prose versions.” Here’s his translation of the Prologue from R&J. No Fear Shakespeare is part of Spark Notes. Here’s their parallel-text version of the same Prologue. Barrons have moved on from their Shakespeare Made Easy series with the death of their author, Alan Durband. They now have a series called Simply Shakespeare which seems equally bad. There’s also a series of Shakespeare Novels by Paul Illidge. Here’s the opening line from Macbeth: “A summer storm moves on over the barren and deserted countryside of Scotland during the Middle Ages, leaving the rain-soaked fields cloaked in clouds of fog.” Oh my. I won’t get into the manga and graphic versions of the plays, most of which retain the original language and are quite good. One of my students recently said to me, “You have some strong opinions.” Yes, I do, but if you feel that there’s room for these translations in your class, I encourage you to post your comments below. I quite agree with the Folger’s mantra. The leaden quality of modern English “translations” of Shakespeare must be obvious even to students bemused by Shakespeare’s language. I’m surprised they don’t even attempt to keep the rhythm of the lines, surely kids who enjoy rap would enjoy the beat and the rhymes even if the words are difficult. For students who don’t yet have skills required to read Shakespeare, why not start them off with modern language? Students gain skills when teachers meet them on their level. Reading translations and graduating to originals works! I understand your point, but we’ve found that giving students small bits of Shakespeare to begin with and scaffolding them into longer passages works even better. Give them 2-line scenes to begin with. Read a passage in the round instead of assigning roles right away. And don’t be afraid to read a scene more than once. That is a good idea! I also think it’d be fun to have students read modern translations of Shakespeare works and compare/contrast them with original texts. I’m always interested in discovering what texts truly engage students and why. I’d rather not deprive them of the rich messages found in Shakespeare for the sake of having them read the original texts exclusively. Hi, folks…a lot that is teach-able gets lost when we move from the early Modern English version to modern versions. I took the first line from the posted text and did an analysis of it. Read what I wrote then take a stab at one of the other lines yourself! I look forward to your comments! ALLITERATION: While the iambic pentameter is technically retained in terms of sheer amounts of syllables in the NF line, the double alliteration is lost. Alliteration is a literary device deployed by writers to fix a sound more firmly in the readers mind with the repetition of consonants so that the line is recall-able long after it is heard. The NF line packs less of a wallop in terms of being recall-able. METAPHOR: Juliet is compared to a teacher in the early modern English version. This comparison produces active images and associations as well as applicable meanings. Juliet is not compared to anything in the NF version. Consider the difference in meaning between TEACHING someone to do something and SHOWING someone HOW to do something. The former connotes a transfer of ability so that the person being taught can own the skill for herself and apply it elsewhere. I can show students HOW TO make a sentence parallel…but until I TEACH students to do this, I cannot walk away from them knowing they own the skill. Teaching is an act of generosity with a high level of ability and is concerned with the objects understanding…showing how to could be generous…it could also be egotistical and is not necessarily concerned with the object’s understanding. Consider some of our college professors. Did you value the ones who showed you how as much as the ones who taught you? Don’t we value “teach-able moments” more than “how-to-able” moment? OK…Folks…before I bust a move, publicly, on the rest of the passage…does anyone want to have a go? I look forward to your responses! Thanks, Julia. I love how you only needed one line to make a very strong case. This is fabulous. Julie’s example is golden! The joy of the language has not been lost on young students for years–no need to dilute/destroy it! My teachers used R&J to teach us figures of speech in unforgettable lessons. It’s so rich! Thank for you for this great discussion! And another thing (…and this hit me later…even though it should have been my first thought as it is as plain as day). WHY must one change “She doth teach the torches to burn bright!” to ANYTHING? Cannot we understand the original? For those of us who don’t understand the inverted question…”What is it about the first translation that we cannot understand?” Which word is the culprit? Having said that, I do concede that TEACH is a very difficult term with which to come to grips lately…especially by publishers. OK…no more from me. Thanks again, Julia. My favorite example is in the R&J prologue where they change “grudge” to “vendetta.” It seems they feel compelled to change even if it’s not needed. How often have we heard colleagues refer to Shakespeare’s language as “Old English.” This error, I think, helps explain why so many think a translation is both necessary and good. Still, to cheat on Shakespeare is akin to literary adultery. It’s just wrong. As Julia shows, the beauty of the language, the figurative language, the poetry is destroyed w/ the easy-read versions. In his book “The Art of Slow Reading,” Tom Newkirk advocates introducing students to snippets from classic literature at a very young age as a way to prepare them for tackling the complicated classics they’ll encounter in high school. Newkirk’s philosophy harmonizes w/ the Folger’s. Thanks for your comments, Glenda. Carol Jago’s “With Rigor for All” makes the same case that Newkirk does. I can see the value in storybook versions of Shakespeare’s stories for kids, such as Charles and Mary Lamb’s Tales from Shakespeare or some of the picture book versions by authors like Bruce Coville, but only if they are used as inductions into the actual scripts of Shakespeare. I usually say, you can call it Romeo and Juliet (or whatever) but don’t call it Shakespeare unless it’s the real language. Thanks, Tim. My next rant might be about textbook versions of the plays that leave the “naughty bits” out and don’t even tell the teacher or students. I agree wholeheartedly with Mr. LoMonico’s thesis. But it does raise other questions about authenticity. What, for example, is the status of Shakespeare translated into another language? Is that not Shakespeare? Conversely, is my edition of War and Peace, in English, not Tolstoy? Also, what about productions that cut or transpose lines? Very few productions use uncut texts — how much cutting is too much? When do we leave Shakespeare behind? How many iambs can dance on the head of a pin? Translated Shakespeare from English to Spanish, Russian, Japanese, etc is not a problem. I’m even fine with an English production that incorporates another language. But the versions I am railing against translate perfectly good modern English to a dumbed-down version. No, I haven’t been teaching in a high school for 25 years. I’ve actually taught in a high school for 33 years. And for the past 10 years I’ve taught graduate and undergraduate pre-service teachers. In high school I taught everyone from ESL and Special Ed students to AP students. And all of them read and understood Shakespeare in the original language. The methodology is key. Using a prose translation is not a bad idea if “students could use it as a reference when reading the original text,” but my experience with teachers across the US and Canada is that when a translated version of Shakespeare appears, Shakespeare disappears. What makes Shakespeare the genius that he is is the language that he wrote in–not the plots. And everyone agrees that these plays are meant to be performed, and that performance is the only way for students to truly understand and appreciate the language. Using a prose version is a particular problem because it eliminates any possibility of a performance. By the way, I do know what iambic pentameter is. Sharon: be sure to send me the results and tell me how it went. Hi, doll: I took the first line of the text to show the the host of literary conventions that get lost when one translates Shakespeare into what one thinks Shakespeare meant. No conventions, no opportunities to show students how they are deployed by good writers. Additionally, the making of meaning should lie with each person who attempts to have a go. Think of the fun YOU had doing it! This is EVERY person’s right..not just the right of one. If the correct engaging performance-based tasks are offered to an individual, then that person is made to grapple with the text and make meaning for herself. I DO teach High School…going on 10 years…and I also teach Shakespeare in the early modern English to ESOL populations AND to 3rd graders who have NO PROBLEM with ….”Rebellious subjects! Enemies to peace…!” I do concede that I am probably all wrong where the punctuation is concerned as what do we really know of THAT matter? Trust the kids. They can do it. Give them the right tasks…they really can do it! Let THEM write YOU another version. asked them to tell me what is being said; not one person has ever been able to “translate” the meaning for me. I’ve visited dozens of English departments in high-schools in Canada and the U.S. and in every case teachers–and heads of departments–were using Cliff’s, Sparks and what in Canada we call Coles notes to understand the plays themselves–cribs, cheats and glosses which, until not so long ago, students were forbidden to bring to class. In many schools here Shakespeare isn’t studied any longer because teachers don’t know the plays. He was taken off the British curriculum in 1997 until a universal outcry resulted in the Bard returning to the A and O level courses. The idea for these prose/novel versions of the plays came from Goethe, in Wilhelm Meister, a chapter where it’s suggested that because of their psychological nature, the plays should exist as novels. As I saw it, the plays of Shakespeare, if they are to have any relevance in the Digital Age (about which I wrote a book called “Shakespeare in the E Generation: The Page, The Stage, The Digital Age) need to be a platform upon which teachers and students can base discussions of issues that are universal in human life. As you know, aside from the history plays, all Shakespeare’s plays deal with families, power, communication and love. Once people can “see” where the story is set, understand what the characters are saying to each other and why, they can then begin the exciting process of applying the stories, the actions and reactions, to their own lives. What could be more valuable than that? Call me Ishmael. We here in Canada call that throwing the baby out with the bathwater. I sent versions of King Lear, Othello and Twelfth Night, just for fun, to Tom Stoppard, Anthony Hopkins, Alan Rickman, Kenneth Branagh, Richard Attenborough, and J.K. Rowling among others. I received complimentary and appreciative letters back from all of them, yet to the letters and sample copies I sent to English teachers around Canada I received no reply whatsoever, only a disparaging attack from an associate editor of the Missouri Review who called me a leech and a snake for trying to build a reputation for myself on Shakespeare’s coat-tails. She quoted a line from Romeo and Juliet, incorrectly as it turned out, one of the most famous lines in the play which you hear now and again in Bugs Bunny cartoons. Writing these seven plays was like performing a one-man show: I had to become every character and try to understand and represent them in such a way that I could be true to Shakespeare but at the same time allow adolescents access to late 16th century heroic verse. I’ve not had one complaint from any student or parent who has used these texts. When I’ve gone into classrooms and worked with kids they’ve all expressed their appreciation; we had fun, especially with Twelfth Night and Midsummer Night’s Dream, and even with parts of Othello. For $3.99. It might be interesting for you to read the full versions of the plays if you haven’t already done so. Read Othello, King Lear and the two comedies and tell me if you, along with the Missouri Review person, still consider me a snake and a leech! Look, I am sure that you are well-intentioned, but we all know what the road to hell is paved with… The truth is that you’re not going to get much sympathy here because most of us disagree with your fundamental premise — that Shakespeare simply relates stories that are universal in nature, and that we simply need to abstract those stories from the plays to learn their “message.” The language is the critical core of Shakespeare’s work. Period. Imagine if we were to “summarize”, let’s say, The Wasteland, so that students wouldn’t have to bother with all those pesky notes on the bottom of the page. It would be a pointless endeavor. Most of us who teach are thrilled that students have to struggle with the language — in fact, I would say, the struggle is the purpose. I understand that things are different at the secondary level and that it is frustrating that we live in a culture that doe not prepare students to deal with difficult texts. But shouldn’t our job be to rememdy that rather than collude in it? I am a university professor, but I run workshops on teaching Shakespeare to young people at the Chicago Shakespeare Theater for high school teachers from the Chicago public schools. These teachers are in some of the toughest classrooms in the US, yet they find that using “whole” Shakespeare is one of the most enriching and rewarding things that they do. The play’s the thing, of course. Comments about my (or anyone else’s) versions of Shakespeare’s work are meaningless when, as appears to be the case, no one here has actually read the books nor used them with students. How can you agree that “the play’s the thing” and then advocate turning them into novels? You are correct that writers cannibalize other writers — which is precisely what you are doing. The problem is that what you are producing are the tales of “Paul Illidge”, inspired by William Shakespeare. And that is the issue. Your work cannot be passed off as or replace the work of William Shakespeare. Of course you have the right to write and to adapt whatever material you like; many writers have used Shakespeare as their inspiration and quite a lot fine plays, poems, novels, films, paintings, operas, etc. have adapted Shakespeare. Yet, Verdi, et. al. would never claim that their work IS Shakespeare’s. I hope you can understand why those of us who teach Shakespeare find it radically troubling that some students might be studying the work of “Paul Illidge” in place of the original. We are not elitist; it is just completely untenable that your work, no matter what its merits may be, is worth the attention that would be given to the original plays that it is intended to displace. I often use adaptations of Shakespeare in my classroom, from Kurosawa to manga — but these things only make sense if the students are fluent in the original works. What you are advocating, and attempting to profit by, if I may be blunt, is that we discard the originals in place of what you claim to be perfectly acceptable substitutes — they are not, sir, perfectly acceptable to me. My name does not appear on the books. They are not meant to displace Shakespeare. I made no money on the series; if you knew anything about bookstore discounts, distributor’s fees and returns you’d realize why—it’s also why the print-book industry is on its last legs, as is the world of academia. Your snotty hauteur about things having to be “perfectly acceptable’ to you suggests you’ve been ensconced in the ivory tower too long. Spend a few dollars, buy the e-books and then I’ll be happy to entertain your criticisms. Why do you keep stressing the originality of Shakespeare yet deny me the right to be original? No one else has done what I’ve done. I wonder why that is? Well..now. Mike Lomonico is as far from the ivory tower as you can get. Furthermore, he is published many times over. No one is denying you the right to be original. I strongly feel that in the attempt to translate Shakespeare and offer it to the world in PLACE of Shakespeare one is denying everyone else’s attempt at originality. As a teacher, I KNOW that the kids will rise to your expectations and standards. If you think they cannot translate Shakespeare…you will be right. If you think they CAN translate Shakespeare…you will be right. Don’t underestimate ANYONE’S ability to grapple with those texts. One just needs to employ the tasks that demand they understand the text. If we have our kids just sitting in desks in rows trying to read Shakespeare…then…well, perhaps they WON’T understand at quickly as one would like…and in the interest of time, for content on a test…they might be served by translations. I still think not. Look — if you want to write prose adaptations of Shakespeare’s adaptations, go right ahead. Yet, you raised your work in the context of a discussion about supplemental versions of the plays and their use in schools. And from what you’ve said, you pursued this project because you think that students and teachers alike cannot understand Shakepseare’s “meaning” and would therefore profit from your “translations.” So in a discussion of whehter or not it is appropriate for teachers/students to use supplements to teach Shakespeare, your work will be judged accordingly. You are being “original”–and that is precisely why I do not want to put your work in proximity with students’ studying Shakespeare, who will confuse your work with Shakespeare’s. As for us “snotty hateurs” — as others have pointed out, we are all teachers of Shakespeare who are intensely interested in bringing his work to students. We are not the elitists — those who claim that students are incapable of apprehending Shakespeare in the original are. Finally — as to your claim that we are unfair to you because we have not read your work. We are judging your work based on what you have told us about it and the reasons you have given for pursuing it. But on the odd chance that your re-workings of Shakespeare might be qualitatively different from all the many other simplified versions of Shakespeare’s plays that are meant to “help” students, but which in fact become the primary text, I tried to plunk down my $3.99 on line to take a look. No luck. I will glady take a look when they are available. I only entered the discussion (and will depart this stage having done so) because Mike D. made a sarcastic and I felt derogatory comment about my efforts, based on the first sentence of Macbeth, one of seven Shakespeare plays I wrote in a new context, to help students (and teachers) while reading his plays in the original. It was the kind of comment my students used to make and I found his rush to judgment unacceptable and hurtful. Subsequent comments hereon took a similarly elitist and I felt antagonistic attitude. There were teacher’s guides and “new directions” for working with Shakespeare in the original print series, offered in an attempt to keep Shakespeare’s plays alive here in the E Generation (based on ideas in my book “Shakespeare in the E Generation: The Page, The Stage, The Digital Age). Romeo and Juliet, Hamlet were written first then picked up by a trade distributor who asked me to do more. I spent more time and gained confidence as I continued with my word for word “performances on paper” as I called them. Macbeth I felt better about. Othello even better still. King Lear, as challenging as it was, I am quite happy with, and Midsummer Night’s Dream and Twelfth Night I feel are the best of the bunch. I’m embarrassed by the fact that one has to put “Paul Illidge” into the site’s search box, but such are the requirements of e-book “apps” and digital publishing. I hope people can find them useful in whatever context they are used. The beauty is that they can be read on any device, and by students in other countries around the world whose first language is not English. Whether they will be or not remains to be seen. But for $3.99, I don’t see how they wouldn’t offer some value to those working with Shakespeare. And they will never go out of print. Ripeness is all, as Edgar says in King Lear. It seems to me that here in the Digital Age the time is ripe for Shakespeare in this new format. My apologies for ruffling feathers—as a writer I was only standing up for my work, a little sad that no one has been willing to acknowledge the intelligence and dedicated hard work that went into completing this project. I never did any Shakespeare at my schools, i was introduced to it by Laurence’s Olivier’s film version of Richard 111 in the early 60’s. I became an instant fan of Laurence Olivier as i thought his performance brilliant although now i do disagree with Shakespeare’s play about Richard 111 and i do think that Shakespeare did much to make him the evil monster that he is now thought of in English history. But my comment has more to do with is Shakespeare hard to understand yes and no is my opinion on this question firstly i think that i for instancei would not like his plays to have more modern language as to me that is also the appeal of going to see or to read his plays. I am of the mind that as long as you have some knowledge of his plays and can get to grips with what they are about you don’t have to be able to understand every word that is spoken. I recently brought the BBC adapations of all Shakespeare’s plays on DVD’S which were recorded in the 70’s and 80’s. Shakespeare’s plays cover such a wide diversity of themes and human nature that are still as relevant today as when they were written over 400 years ago. So i say to anyone give Shakespeare a try if you are uncertain of some of the word look them up in a dictionary some of the words still exsist in the English language today and he also introduced many words to our language through his plays. 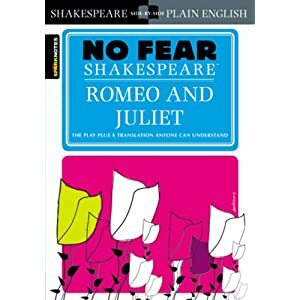 For those who might be interested in Shakespeare in modern English “translations” for high-school, college and university students as E-books, a look at my blog: http://www.paulillidge.blogspot.com might prove helpful if not worthwhile. Try out the things that force buyers to participate and make purchases. should be employed all through the web-site. These datacenters are identified all in excess of the US. A hasty and arrogant generalization to conclude that a “modern” version of a Shakespeare play is “easier.” Easier to understand? Easier to perform? Easier to appreciate? What does that even mean? Dickens, Melville et al were 19th century writers; Shakespeare lived in the 16th century. And his works were written in iambic pentameter poetry, not prose that could be read by the Victorian industrial masses. Even a freshman high-school student would know this is comparing apples to oranges. Sadly, when atavists have their minds set on denouncing someone else’s work, they’re not to be deterred.